Generation Gap Talk – The Idol Age Difference! 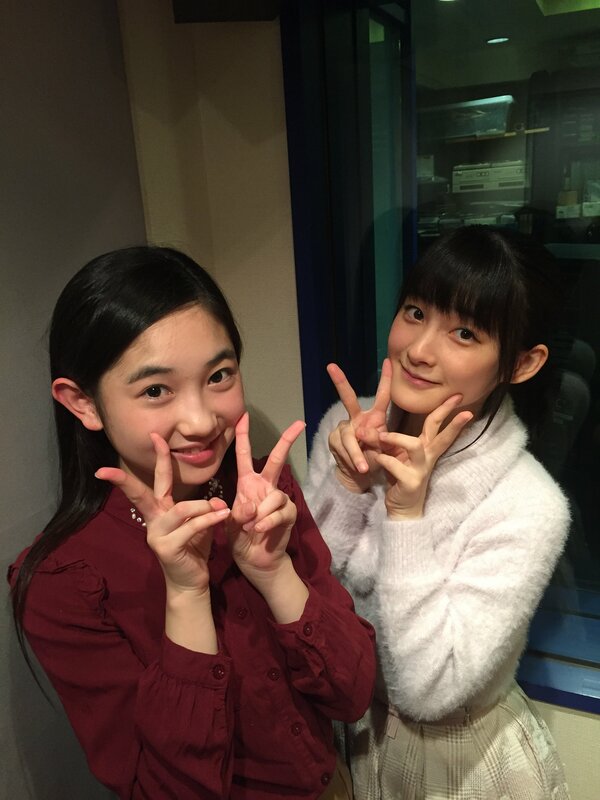 There’s a ten year difference in age between Momochi and Yanamin. The first time Yanamin stood on-stage was in 2015, while Momochi’s first time on-stage was in 2002. 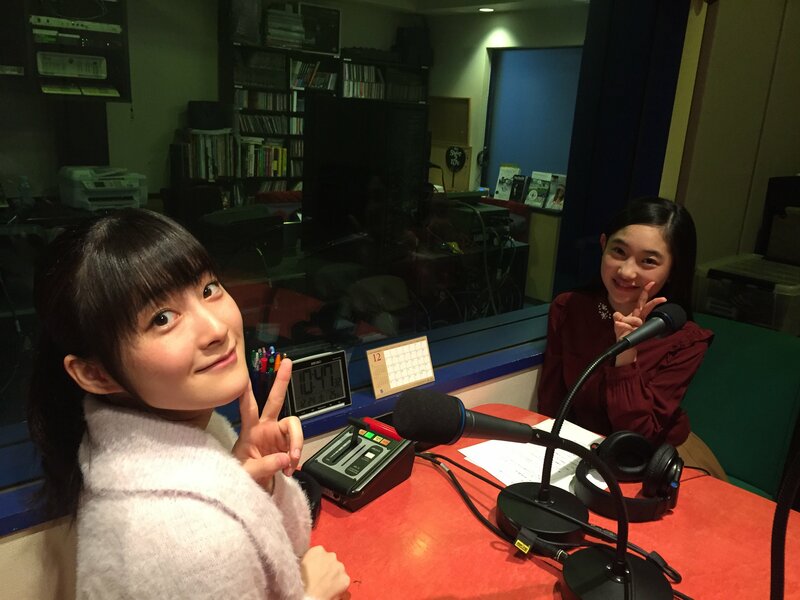 The fact that Yanamin was born in January 2002 causes Momochi to stagger – she joined H!P on the 30th of June 2002, about half a year after Yanamin’s birth. At that point in time, Yanamin was probably barely able to control her own motor functions. Having joined H!P, Momochi acted as a backdancer for Morning Musume。 She also starred in a movie. Back when Momochi was auditioning, Morning Musume。 were doing ‘Love Machine’ and ‘Do It Now’. 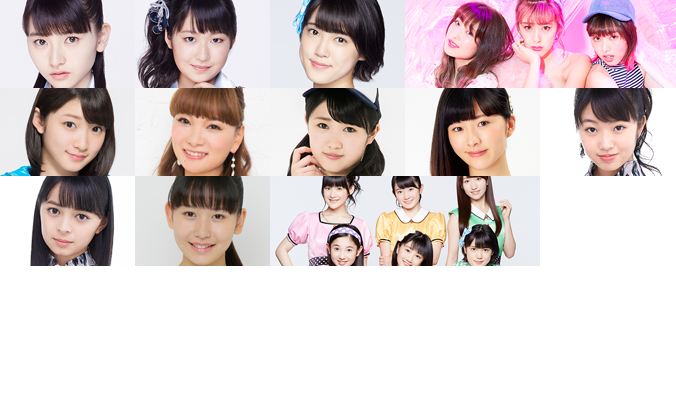 In comparison, when Yanamin was auditioning, Momochi etc. were the idols. CDs were going out of fashion as everything was going online. While back in her day, Momochi used to get her demos on MiniDiscs (MDs), to say nothing of tape cassettes. Yanamin: I’ve heard about those from my mother, those legendary MDs. Momochi: It doesn’t matter whether their singing is good or if it isn’t, as long as it touches the soul. That’s a theme that will remain true eternally. As for Momochi, her advice is: Don’t fear being hated. Haters may hurl insults, but that means that they’re taking an interest in their own way. So that should be treasured. Even if they aren’t big fans, open your heart, and bring yourself to like them. Yanamin: That touched my soul, Momochi-senpai. This week it’s the outdoor edition of the girls’ weekend activity recommendation. Momochi recommends hitting the skiing slopes. There are some in Gifu prefecture. While she might seem useless when it comes to physical activities, she’s actually pretty good when it comes to skiing. Country Girls actually went skiing for a DVD shoot. Momochi actually had to control herself using a single ski pole during that shoot, since her other hand was occupied holding a camera on a selfie stick. Winter’s the only time that the snowy landscape can be enjoyed. And the white landscape is a blessing: it acts as a reflector, making girls look even better. After all, it’s important for an idol to look cute. And that’s also why she recommends ski slopes. Yanamin recommends going to the Hello! Project concerts! Momochi: Oh my, what well-placed promotion! This results in an adorable back-and-forth between both hosts which basically amounts to further promotion for the Hello! Project concerts. Yanamin talks about the importance of massages. She makes sure to massage her face and neck using a heatable roller. It also takes away her fatigue. She tries to explain further, but hits the 30 second limit, and the show immediately jumps into the next song. Momochi gives Yanamin a chance to finish what she wanted to say. Basically, she wanted to reiterate the importance of massages, and it’s even better using a roller. Momo hears that using those rollers can give one’s face a lift, and also help with lymph flows. In this food recommendation segment, the first recommendation is kushiage store Kushi Yoshi. However, the recommendation isn’t for the store’s kushiage, but for their lunchtime pasta. They offer three choices of pasta every month, and these aren’t your run-of-the-mill bolognese and carbonara – these are seasonally flavoured pastas. The listener got a high-quality chicken, sheep’s head mushroom, and avocado soy milk carbonara when they went there. Sea urchins or meat: which do you prefer? If you can’t make up your mind, the next listener recommends Gottie’s Beef, which serves up urchin and roast beef on rice, topped off with an egg. Momochi likes both, and the attached photo looks irresistible to her – though she wonders if they go well together. Yanamin suggests that the egg might act as a bridge between the two. The next two songs were picked by the girls themselves. Yanamin picked Ariana Grande’s ‘Baby I’. She likes Ariana Grande, and she loves this song since she got to sing it at lessons during her H!P Kenshuusei days. Momoko’s younger brother, in his third year of senior high, kept on listening to this song by Back Number at home. They went for a Back Number concert together the other day as well. It’s a fitting song for the winter. Momochi draws her topic: ‘This is what I’d like to be reborn as’. She has one minute – Go! She’d like to try becoming a boy. She feels that girls have it tough – for example, they have to prepare furisode for their Coming-of-Age day and weddings. On the other hand, guys have it easy: all they have to do is change their neckties. It fills her with envy. And Valentine’s Day is around the corner. If Momochi were a guy, she’d be getting so many gifts and chocolates that her locker would overflow. She’d like to try living with that sort of popularity. Momochi finishes nicely at the end of her minute. In Momochi’s eyes, guys always seem to have it easy. They don’t have to care about make-up or cosmetics. And fashions don’t change as much, whereas girls will get caught out for wearing last year’s fashion. Momo hates that! Just let her wear whatever she wants! For Yanamin, if she’s at school, uniforms are fine. But when it comes to hanging out, she’s never sure about what she should wear. But still, Momo admits that being a girl has it advantages – Ladies Days, women-only carriages, and they also receive some preferential treatment. Being of either gender has its advantages and disadvantages, but if she were to be reborn, she’d like to be a guy.